Peek behind the scenes of the Boston Philharmonic Youth Orchestra at a Saturday afternoon rehearsal. 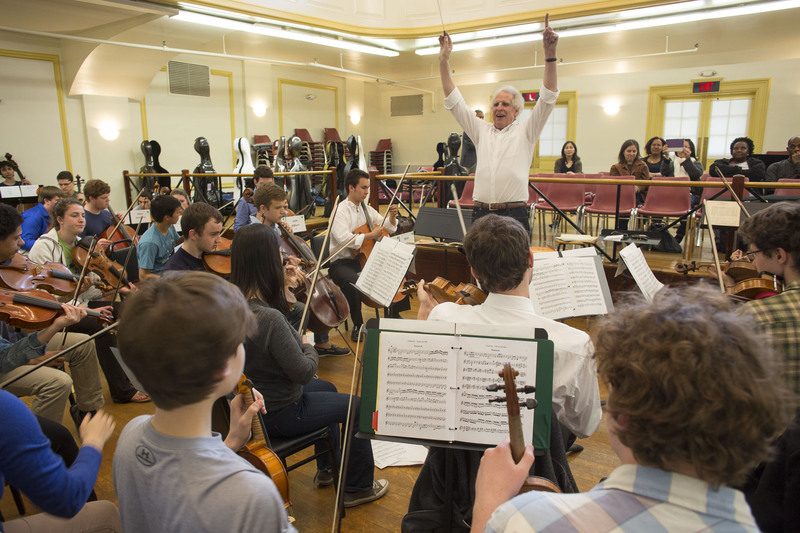 Our Open Rehearsals on Saturday afternoons with the BPYO allows groups of students the chance to experience an exciting orchestral rehearsal lead by Maestro Benjamin Zander. They will be able to hear repertoire evolve during a rehearsal, interact and have discussions with BPYO players, meet Maestro Zander, and sit near or among the orchestra players to get the complete BPYO sound experience.